London, the capital of Great Britain is the ultimate hub of businesses and young entrepreneurs. 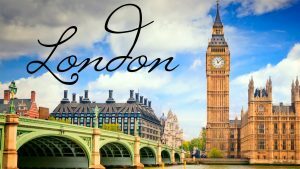 Hence, Business people from all over the world gather in London for their dreams to come true and gain experience that no other city on Earth can offer. It is the core of reliable and consistent support, with a beautiful skyline and hundreds of businesses coming and going each year. London does not slow down, and we have watched year after year how the city manages to train and produce many great business owners and innovators with fresh and exciting ideas. At Miranda Management and Accountancy Services Ltd we are proud to be to be serving as accountants in London, We have had the pleasure to work with countless clients from London, as being based in Uxbridge makes us the perfect driving distance, for a quiet meeting that avoids the buzz of the city of London. So if you’re a small business based in London, you will completely understand the struggles that come along with trying to get your head wrapped around the finances. It can be stressful and time consuming, so as a creator of your own destiny, why waste your time on that? This is where MMAAS comes in, and with our expertise and knowledge, you can sit back and relax. We can assure you that working with us puts your business and personal taxes and finances in safe hands. MMAAS is a small team of bookkeeping experts and accountants in London that have had years of experience dealing with payroll, taxes, annual reports, VAT and lots more. We are proud to serve London and the surrounding area, guaranteeing the best services for affordable prices. Customer satisfaction is at the core of what we do, and we strive to give a personal and custom experience and service to all the clients we work with. We take your finances as seriously as you do and all our practices are compliant with UK laws and done so that we can achieve the best possible outcome for you. So if we sound like the perfect fit for you, feel free to give us a call or pop in to our office at Stockley Park for a brew. We’re only a forty-five minute drive away. Or if you’re on public transport, just take the train to Hayes and Harlington, and from then carrying on with the U5 bus.